Since 1999, more and more countries have adopted electronic and digital signatures as legal. 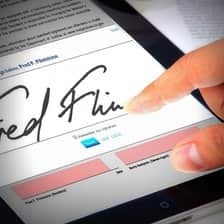 Twenty-seven countries, including the U.S., the U.K., Russia, China, Canada, and those in the E.U., have recognized a properly secure electronic signature as equal under the law to the paper ones. If you aren’t using electronic signature you aren’t even partying like it’s 1999, let alone 2014. Today we are going to give you an overview of why more and more small businesses are choosing the finger and mouse over the quill and pen. With new and simpler electronic signature apps like PandaDoc popping up, it’s become completely affordable to use electronic signature in your day-to-day. For example, PandaDoc has prices ranging from the freemium plan for three docs a month—plus any others earned via referrals—up to a $19.99 a month for unlimited docs to send. Huge conglomerates like Telefonica are creating so-called paperless offices. While it’s a nice little marketing splash to have a green agenda, the real reason is that the cloud-based world is making paper nearly obsolete, allowing companies to save money on not buying ink, toner, and tons of paper. (Did you know that, according to The Guardian, printer ink is more expensive than champagne or human blood?) Plus, the new ergonomic open-office floor plans don’t really leave room for those clunky copiers-slash-printers-slash-fax machines. And Feng-sui doesn’t lend to blocky filing cabinets blocking out natural light. Plus, you never have to overnight a contract to be signed again, saving you countless shipping costs. It’s a lot harder to lose an electronic contract. And it’s a lot harder to mess up signing one. (It’s supposed to be impossible, but, when there’s a will, there’s a way.) 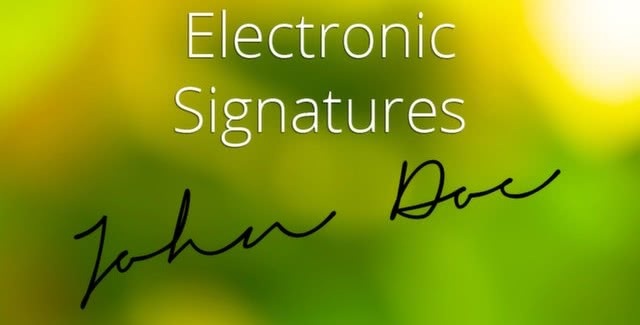 Electronic signatures enable you to do business much faster. No matter where the signees live, they will all be able to collaborate on and sign documents all online, even while they are reading emails in the bathroom or during their commute. And your staff will love it too. Imagine if your closet had a search engine — you’d never waste time looking for a shirt again. The average officemate wastes an incredible six weeks a year searching for misplaced files. When you use electronic signatures to close deals, your bulky filing cabinets turn into a cloud-based search engine you can access from anywhere. Does your client have a question about a previous contract? Simply whip out your smartphone or tablet and pull it up in ten seconds flat. With the recent Target credit card scandal, we all have a renewed fear of online identity theft. Well, yes, this was a rough hit, however, offline, printed transactions actually account for 85% of identity theft. Think about it, you don’t want your business secrets lying around a customer’s office or in the recycling bin or anywhere else your competition or those identity pirates could find it. And using an electronic signature software even raises the level of your guaranteed security. E-signature apps include bonus features beyond the traditional signature, including the ability to issue a signature certificate with all signatures, a date and an individual bar code to further authenticate. Electronic signature software also offers you an automatic auditing trail, maintaining a full log of every transaction, including user, IP address and timestamp, so there will never be a doubt of who signed what again. Finally, all sorts of forms are moving toward paperless. From another Business Software author, check out these tricks for how you can now can use electronic signatures on your 2014 U.S. taxes. Soon paper will become obsolete, and the faster you get on board, the more efficient your business will be.